To truly hold the president accountable, there has to be more distinction between news that affects people’s lives and the daily outrages that often distract from the issues. Breaking news: President Trump tweeted. He’s feuding with a foreign leader—or a football team. Special counsel Robert S. Mueller III is investigating the administration. In today’s media environment, these “breaking” political news alerts are nearly constant. They dominate cable news and serve primarily to agitate rather than inform. 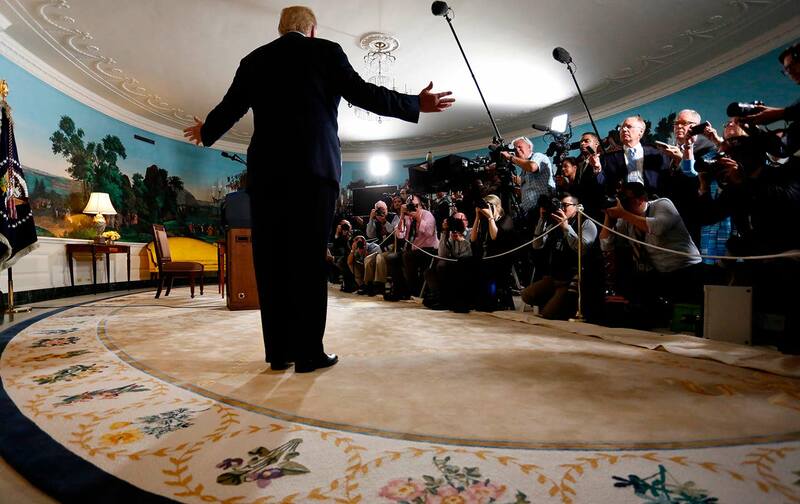 Though the tendency to focus on spectacle over substance is not a new media phenomenon, it has noticeably worsened under the influence of a president who has devoted his public life to making a spectacle of himself. And as recent events have shown, it is leaving little to no oxygen for important issues that have real consequences on the American people’s lives.